We decided to develop iCan Toilet Training Program a few years ago after a parent of a child in another study we were running mentioned that she struggled with potty training her daughter. iCan Toilet Training Program was developed through a Department of Education/NIDRR grant so the application and award process takes a long time. It was released February 28, 2013 but kids in the study started using it in mid-January 2013. The functionality and major components of the app are based on decades of education and toilet training research, and were decided before the grant was submitted. Once the grant was awarded, it took 3.5 months for a working prototype and another month to refine the app. 4. What is your favorite feature? The administrative section has a schedule that parents can set in either specific intervals (e.g. every 15 minutes, 30 minutes or hour) or based on when their child is having accidents. The two schedule options provide parents with a lot of flexibility and customization. 5. What is your favorite page in the app? iCan Toilet Training Program lets kids pick between three 3-minute videos when they are waiting on the potty. The Bathroom Book is my favorite page. The illustrations are cute and the story sets expectations for potty training. It is a nice way to review and reinforce the idea of potty training for kids. Potty training! This can be a frustrating skill for parents to teach and children to learn. Using existing research we were able to create a comprehensive system that incorporates the key elements for successful toilet training to make it easier on adults and more fun for children. Any child who is ready to start toilet training. The iCan Toilet Training Program is a comprehensive toilet training app based on decades of successful toilet training and education research. The app provides the key elements for successful toilet training. – Important: A schedule must be set up for the app to work. After starting the app, tap on the gear icon to the left of Create/Edit Schedule. * It is highly recommended that purchasers download the free guide, iCan Toilet Training Program Manual & Keys to Success, on the Sandbox Learning website for important set up information and additional tips for successful toilet training. 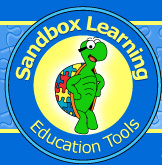 For additional materials by Sandbox Learning visit the website http://www.sandbox-learning.com or email them at info@sandbox-learning.com. The contents of this app were developed under a grant from the Department of Education, NIDRR grant number H133S120002. However, those contents do not necessarily represent the policy of the Department of Education, and you should not assume endorsement by the Federal Government.